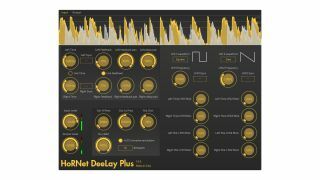 HoRNet has souped-up its standard DeeLay and created DeeLay Plus, a more creative digital delay plugin. This can be used to create “space, moving sounds and weird effects”. There are two dedicated delay units that can be routed to the left and right channels independently, and the feedback of one can be cross-fed to the other. You can link the standard controls for fast tweaking, sync the delay time to the host tempo, and keep an eye on your levels in the waveform display. Things start to get more interesting when you consider the modulation and sound manipulation options. The feedback path can be filtered with 6dB/dB low-pass and 6dB/oct high-pass filters, and there’s a distortion unit. You can also set the feedback of each delay to 100% to create a continuous loop of everlasting weird and noisy sounds. There are two LFOs, each of which has four waveforms and can be routed simultaneously to the time and feedback levels of each of the delay lines, meaning that you can modulate time and feedback. Finally, there’s an adjustable analogue-to-digital converter emulation that can be set to everything from 24-bit to 8-bit for a more lo-fi sound. Find out more and download a demo of DeeLay Plus on the HoRNet website. 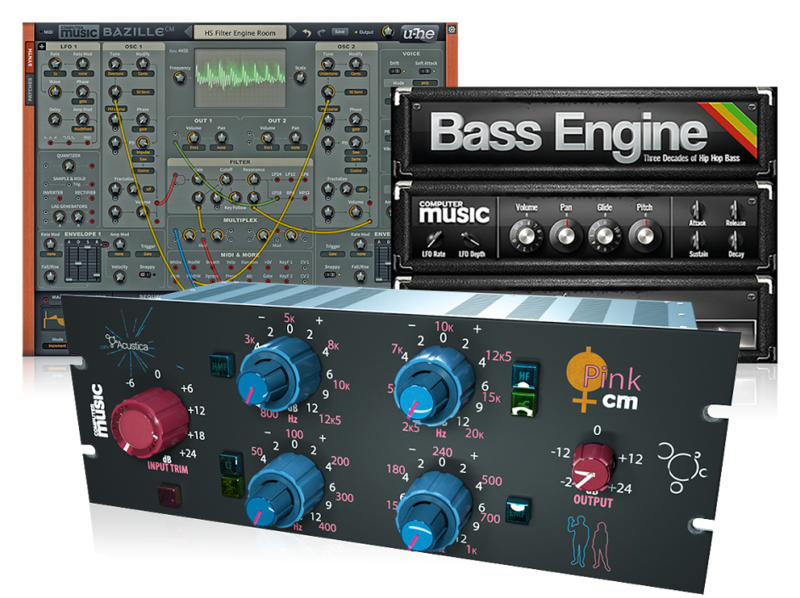 It’s available for PC and Mac in VST/AU/AAX formats and costs €14.